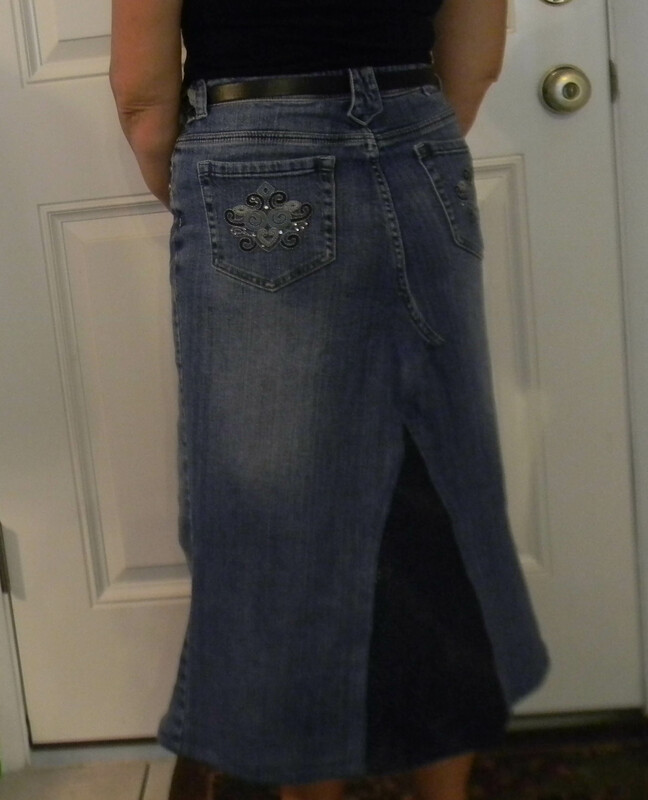 I have been changing most of my jeans into skirts and today I decided to try to make it a little easier and not have as much bulk. 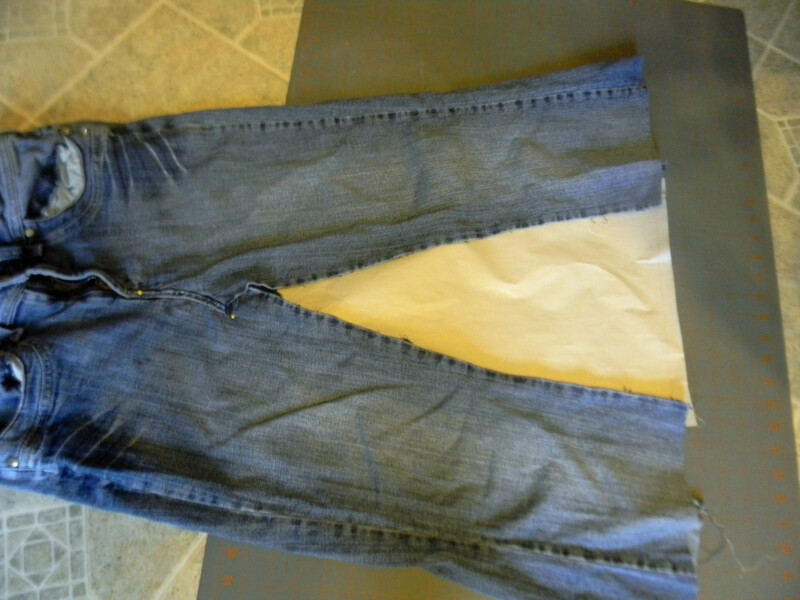 The first thing I changed was to make a pattern that fit into the opening of the jeans so I didn’t have to cut all the fabric after I sewed it. This also helped with the sewing process, not so much fabric. I made mine from unprinted newspaper but you could use interfacing or copy paper taped together. I just inserted the paper and marked the opening with a sharpie then cut 1″ out from this line. 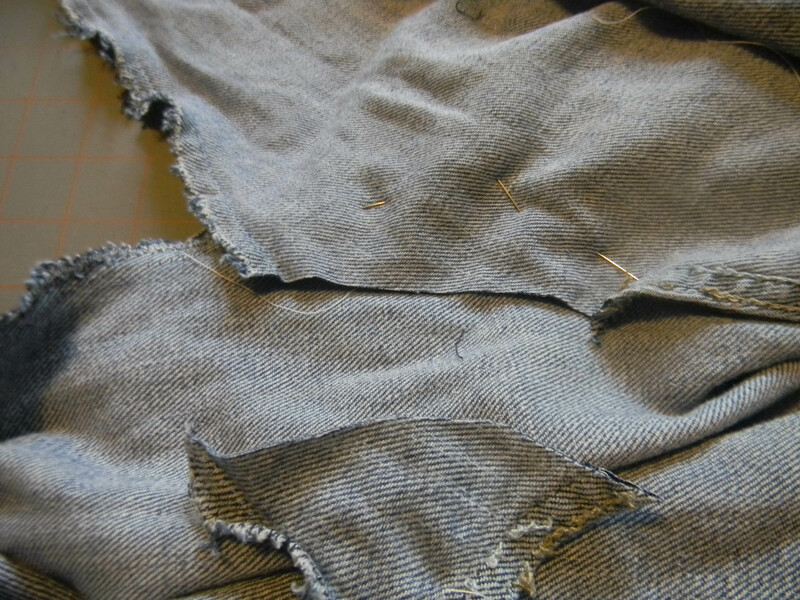 Once the pattern was made I cut it from the inserted fabric and then zigzagged those edges. Again this was MUCH easier to do before it was sewn into the skirt. 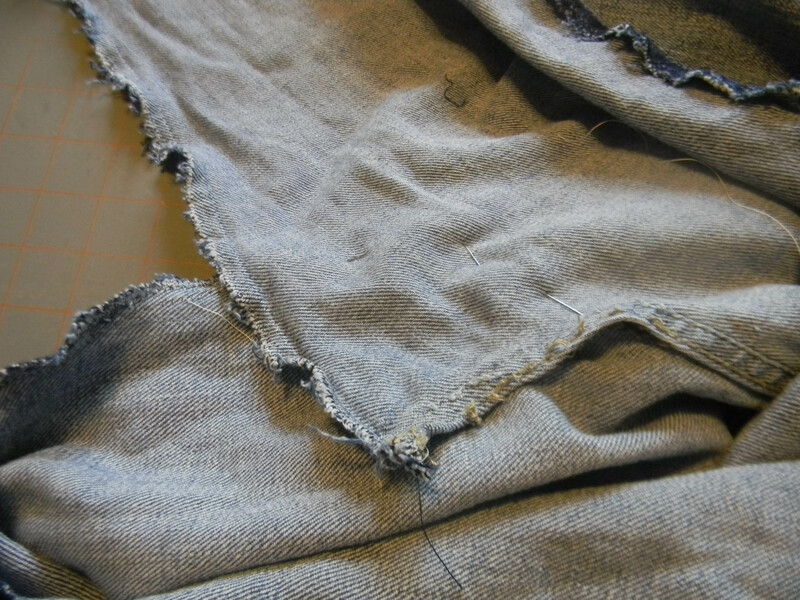 The next thing I did was to cut the extra fabric off of the back seam that had been overlapped. I then zigzagged the edge so it wouldn’t fray. This was much easier to do before I inserted the fabric. Yeah!! The next addition was to insert some type of cardboard, wood, plastic or foam core board into the jean before pinning the insert. 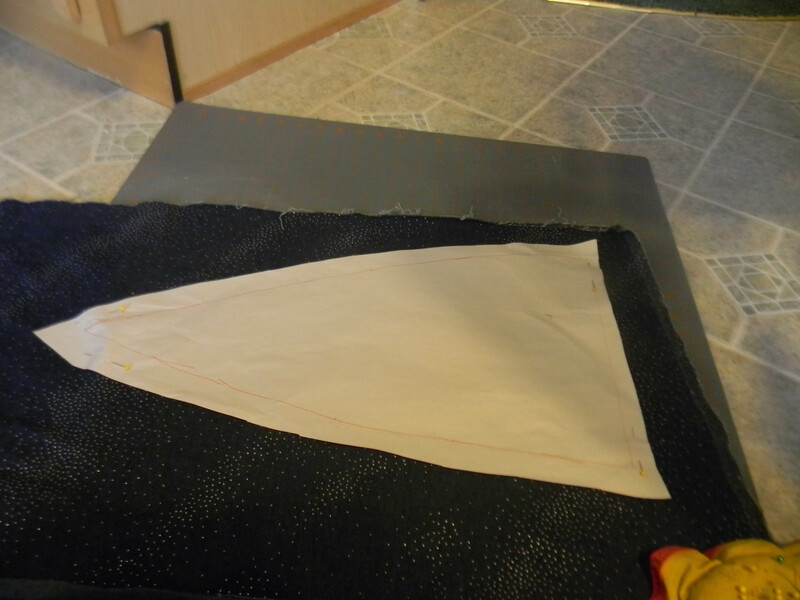 This helped in keeping the fabric flat and I didn’t have to keep from pinning it to the back of the skirt. Here is a picture of the inside once the insert was sewn. Now I need to practice on getting it centered. This is my favorite skirt so far. These jeans were VERY comfortable but have spandex in them so as the day wore on the behind got bigger and bigger. No problem with that now! 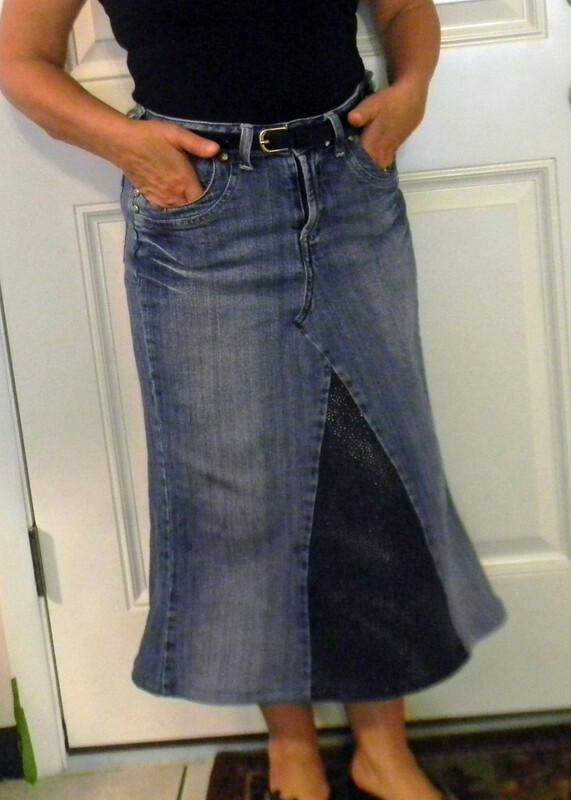 For my original instructions on turning jeans into a skirt visit this link. 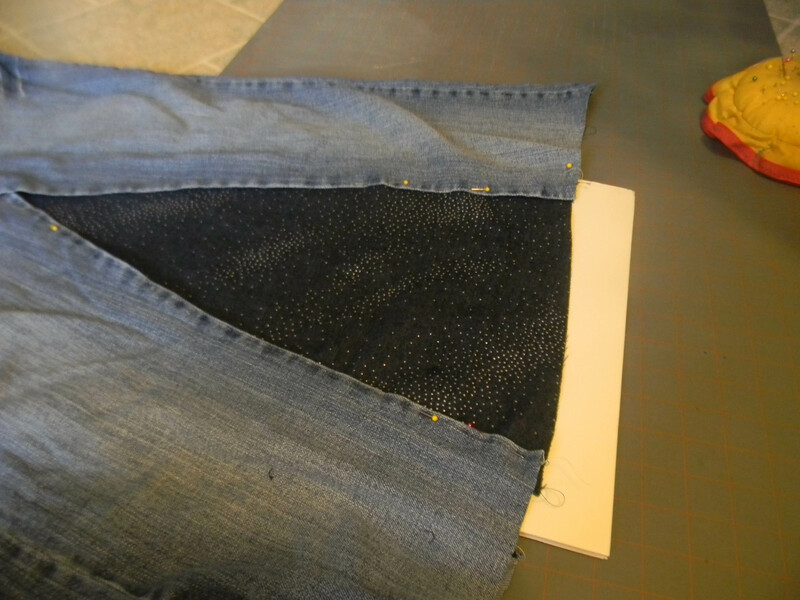 This link will show you how to deconstruct your jeans before making them into a skirt. 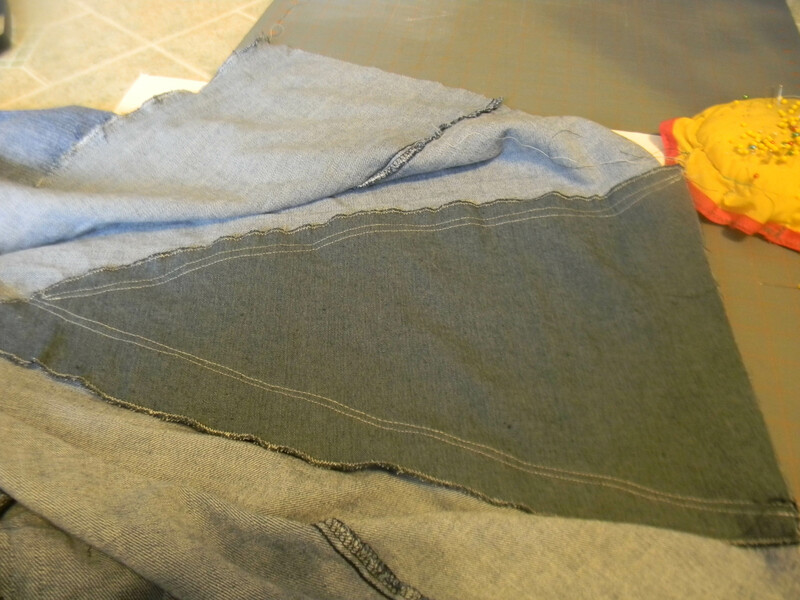 This entry was posted in Posts, Sewing and tagged jean repurpose, jean skirt, reconstruction jeans, sewing. Bookmark the permalink. I remember making these skirts in the early ’70s! Yes I remember them clearly!! Glad I did.